Lace covered windows are a super chic way to add some interest to a room without spending a ton of money. Plus, it can create a sophisticated privacy shade if you have neighbors close by. This project looks much more complicated than it actually is. All you'll need is a window you'd like to cover, lace and cornstarch. No kidding! It really is that simple, and it can be done in less than 20 minutes. Alright, let's get started! In a medium sized bowl, mix together equal parts of 2 tablespoons of cornstarch and 2 tablespoons of cold water. Then add 1 cup of boiling water. 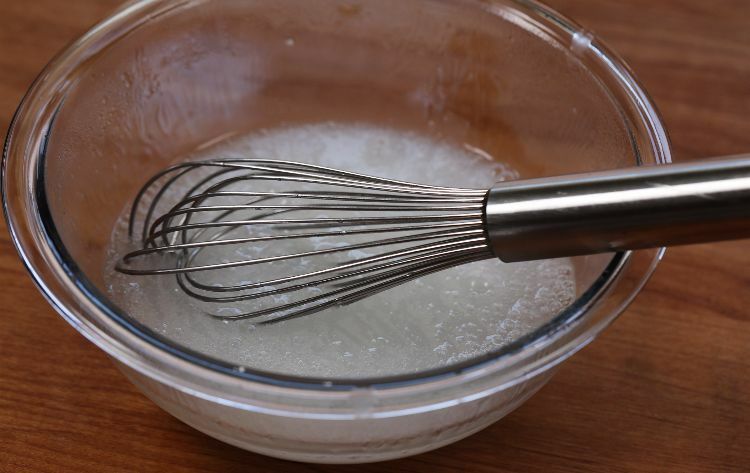 Whisk together to create a paste. 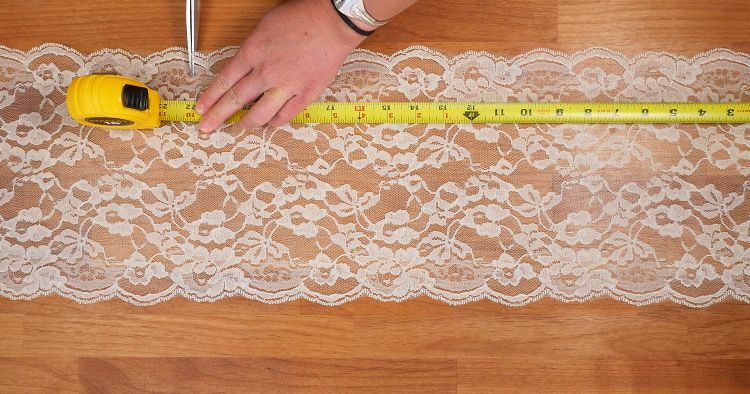 Use a measuring tape to cut the lace to the correct length of the window you'll be covering. You may need a few pieces of lace to completely cover the window. Using a paintbrush, cover your window in the cornstarch paste in an even layer. Using your fingers, press out the lace so it lays smoothly against the window pane. 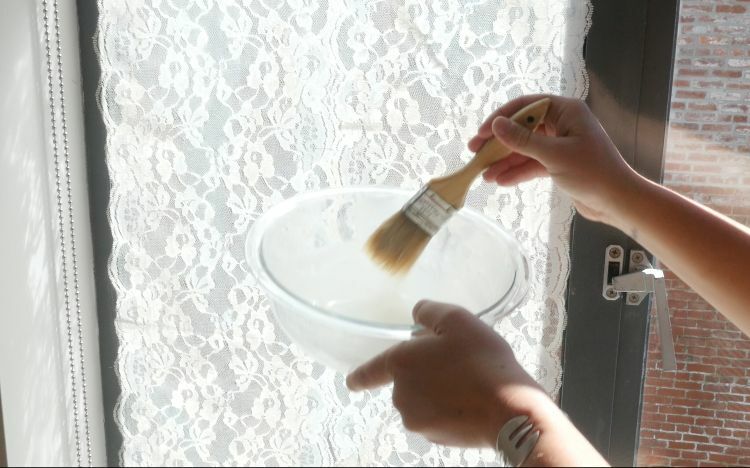 Paint another layer of the cornstarch paste on top of the lace to secure it to the glass. Let the paste dry, and there you have it - a beautiful lace covered window! 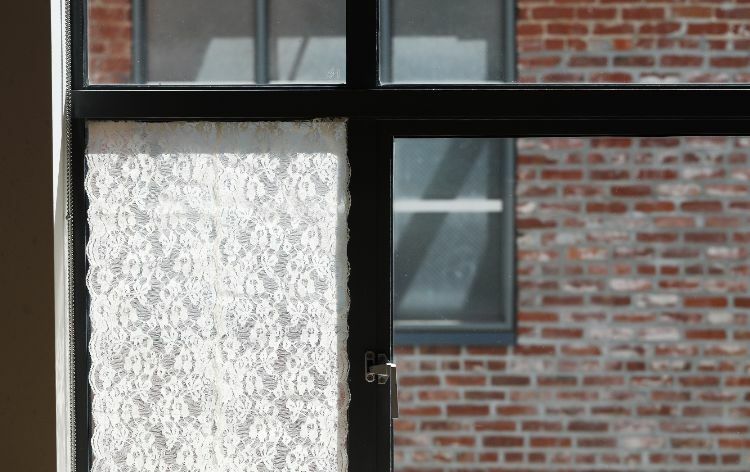 Do you have a window you'd like to cover in lace? Share this article with any friends who would love this simple yet classy DIY project!